Welcome to Tattoo MD Laser Clinic & Medi-Spa. Now, more than ever, you have choices when it comes to laser tattoo removal and cosmetic skin treatments. Our mission is to provide the highest level of quality and still make it affordable. Tattoo MD is now part of Celebrity Laser Spa, which is an evolution of the Tattoo MD brand. Celebrity Laser Spa reflects our commitment to treat youlike a celebrity! The same great staff and services are still here. Dr. Kaplan, the medical director of Tattoo MD, and his expert staff of professionals are dedicated to building relationships with each of of our patients based on trust, service and caring. 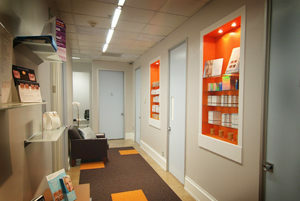 To go directly to the Celebrity Laser Spa website click here. The information on tattoomdla.com may not be as current as what is on CelebrityLaserSpa.com. For our laser tattoo removal clients, we have 2 different kinds of dedicated lasers for tattoo removal alone, including both an Nd:YAG as well as a Ruby laser. This combination of lasers singles out Tattoo MD as a unique laser center that uses specialized technology and experienced staff to give you the best possible tattoo removal result. Find out more info on our tattoo removal page. We were honored with LA Weekly’s 2011 Best of LA for laser tattoo removal. Got Go to our drawings/giveaways page to enter! Tickle Lipo is the revolutionary liposuction treatment offered at Celebrity Laser Spa by Dr. Kaplan. Using vibration, rather than laser or ultrasound, this technique is performed with only local anesthesia and has minimal downtime. Initial consultations are always free. We offer a LOW PRICE GUARANTEE*; we accept competitors’ coupons. Contact us with any questions you may have and thank you for visiting.